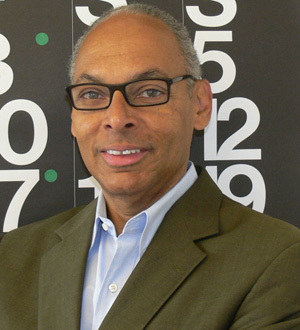 Windham, director of arts at the Wallace Foundation, is a long-time arts administrator who, over his career, has become a true believer in the value of research — both qualitative and quantitative. For Windham and the Wallace Foundation, audience research not only tells a story, it can lead the way. That’s great news because dance organizations around the country have upped the ante by committing to engaging and growing their audiences. The Wallace Studies in Building Arts Audiences provides a variety of roadmaps. A good place to start is Taking Out the Guesswork: A Guide To Using Research To Build Arts Audiences. Designed as a market research guide, this report discusses how arts organizations can learn to commit to and conduct research across every department from the box office to the board room. Author Bob Harlow follows ten arts groups as they go through the process of conducting research and collecting data, using surveying methods and fielding focus groups to gain a clearer picture of their audiences and their needs and wishes. While particularly smaller organizations may cite challenges to undertaking large-scale research, Harlow shows the way with materials that companies can use to undertake their own data-collecting projects. The research methods employed by the arts organizations, including targeted surveys and focus groups, provide the basis for dance companies and others to, first, learn about their audiences and potential audiences, and, then, using their research and data, develop more effective practices and programs that will reach and engage their current and newly found audiences. One success story came from Pacific Northwest Ballet when the company sought to reach younger audiences. In focusing on reaching adults under 25 and teens, the Seattle company revised its marketing and virtually every public interaction by taking a top down approach to its research findings. By working against a long held stereotype that ballet is stuffy and boring, PNB was able to increase teen and young adults visits by 60 percent and is hopeful that it can build on the commitment these young audiences members will make to the ballet in the long term. The Minnesota Opera took a different tact: betting it could reach out to women ages 35 to 60 to grow its audience base. The opera’s strategy included ticket giveaways to its target audience and enlisting a local talk radio host — and opera lover — who had a large listenership in that demographic. Over four seasons, more than 1,100 households new to the Minnesota Opera used their free tickets. Eighteen percent purchased tickets for a second opera performance and follow-up research identified ways to increase return visitors by erasing additional barriers and adjusting its marketing. At the Fleisher Art Memorial, a non-profit art school looking to serve a diverse population, the goal was to respond to the rapidly shifting demographics within its neighborhood community in Southeast Philadelphia. Newcomers to the area, many from Latin America, China and Southeast Asia, were not comfortable as regular visitors and consumers of the art school. With the Fleisher’s concerted effort, including interviews with residents and community leaders to understand how to make newcomers from various cultural backgrounds feel welcome, the organization has seen an increase in students from Southeast Philly, up from one-fifth to one-quarter. These efforts required staff and board members to work on relationship building within their target communities, along with gathering data from focus groups and measuring their progress. Windham spoke to Dance/USA’s Board of Trustees about these success stories and groundbreaking work the Wallace Foundation has been doing to create and support model audience engagement programs across arts genres with the hope that these Wallace models will be replicable in the field and others can follow suit. Windham notes that the results and case studies are instructive for all arts organizations and can provide ideas and methodologies for companies to begin to apply the methodologies to their own work. One of the oft-described Holy Grails of audience engagement is reaching millennials, because many dance and arts organizations have expressed concern about their graying audiences. Philadelphia’s Clay Studios provided one example of how to reach these hard-to-capture millennials. The case study, Opening New Doors: Hands-on Participation Brings a New Audience to The Clay Studio, details the steps the arts organization took to attract newcomers and younger professionals between the ages of 25 and 45. Once audience research helped identify areas to focus on, The Clay Studio instituted a number of new programs, including more flexible schedules, shorter course modules, more socializing opportunities and a Friday evening “Date Night” for novices to experience the studio in a fun and low-key way. For complete access to The Wallace Foundation Knowledge Center for Building Audiences for the Arts, click here. Daniel Windham joined The Wallace Foundation in February 2007 as director of arts. Before that, he served in a variety of leadership positions within arts organizations including the New York Philharmonic and the National Symphony Orchestra. Lisa Traiger edits From the Green Room, Dance/USA’s online journal, and writes frequently on dance and the performing arts for a variety of publications including Dance, Dance Teacher and Washington Jewish Week. Be part of the conversation! We welcome and encourage feedback on eJournal articles here. You are encouraged to contribute any commentary designed to spark conversation, ask questions, and/or offer constructive criticism. Please note that comments will be reviewed by Dance/USA staff prior to appearing on the site. If necessary, comments may be edited or deleted to remove any inappropriate or highly inflammatory remarks. We accept submissions on topics relevant to the field: advocacy, artistic issues, arts policy, community building, development, employment, engagement, touring, and other topics that deal with the business of dance. We cannot publish criticism, single-company season announcements, and single-company or single artist profiles. If you have a topic that you would like to see addressed, please contact journal@danceusa.org.